Posted in Community Outreach, Event/Association Planning with 1 comment. The Norfolk SPCA is hosting Barktoberfest in East Beach on October 12, from 2:00 pm – 6:00 pm at Bay Front Club. 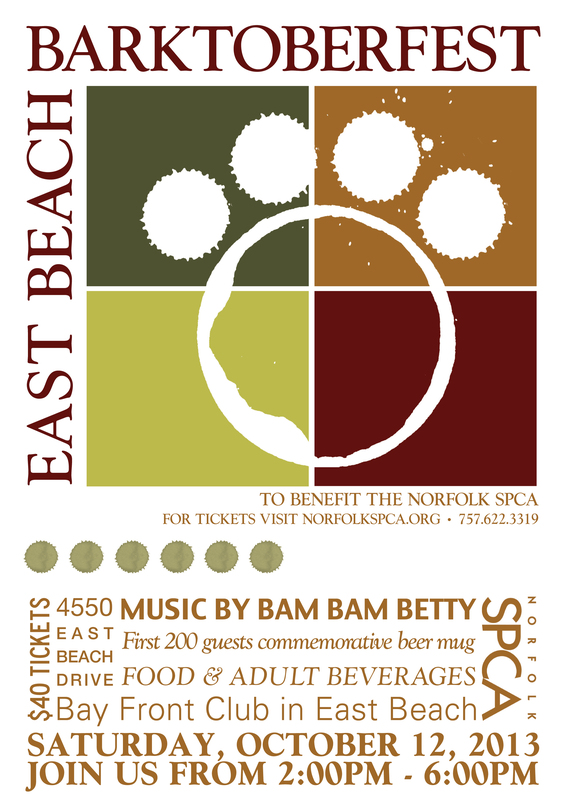 Come sway to the sounds of BAM BAM Betty while imbibing Norfolk Cannon and Red Nun Red Ale, the event’s featured beers by O’Connor Brewing Company, a local Norfolk Brewery. The BOW Group is sponsoring commemorative beer mugs to the first 200 guests. This is a great day out in the nice autumn air with food, drink, and merriment on the water; and all proceeds go to support the Norfolk SPCA. For tickets visit www.norfolkspca.org.